This portable radio hanger slides over and hangs from the vehicle door panel allowing convenient, easy mounting. 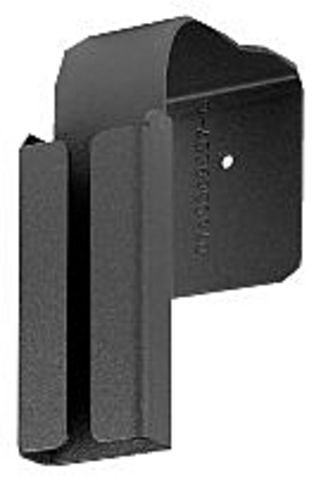 This portable radio hanger is for door panels from 2.75 to 3.25 inches. A radio belt clip required.